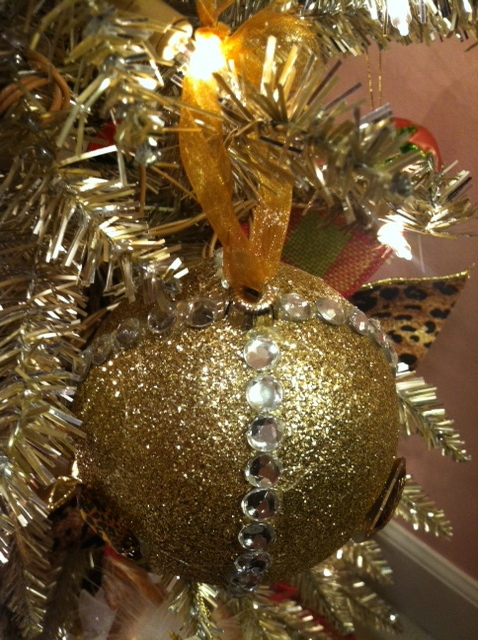 I finally found the time to do some ornament decorating. 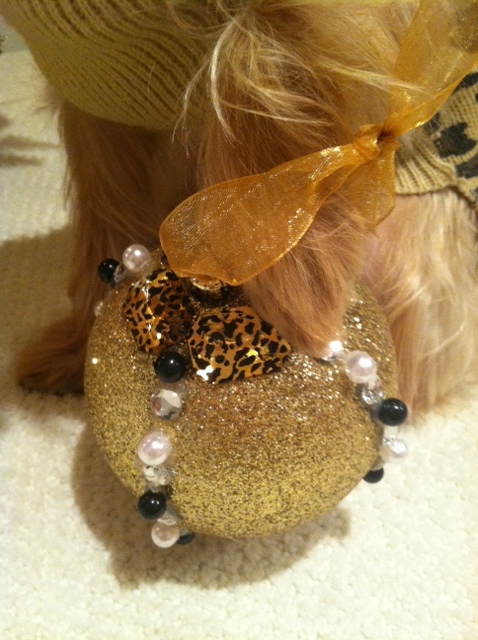 Here I used gold glittered ornaments and decorated them with hints of Leopard glass beads, pearls, and diamonds ( all purchased from Hobby Lobby). I am quite pleased with the turnout as they go quite nicely with my tree this year. I have the perfect model to model them on the blog today. That model is Jaycee, of course, wearing her leopard as well. 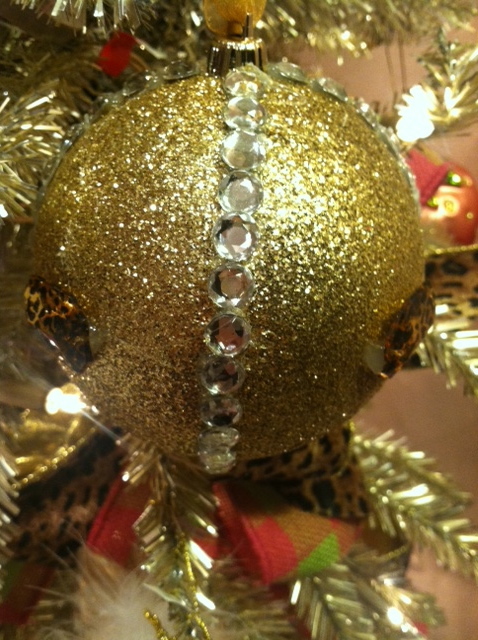 Congratulations to Tara F, the winner of the Henri Bendel Christmas ornament giveaway! Jaycee is the cutest thing ever! Congrats to the lucky winner! Miss Jaycee looks tres posh. 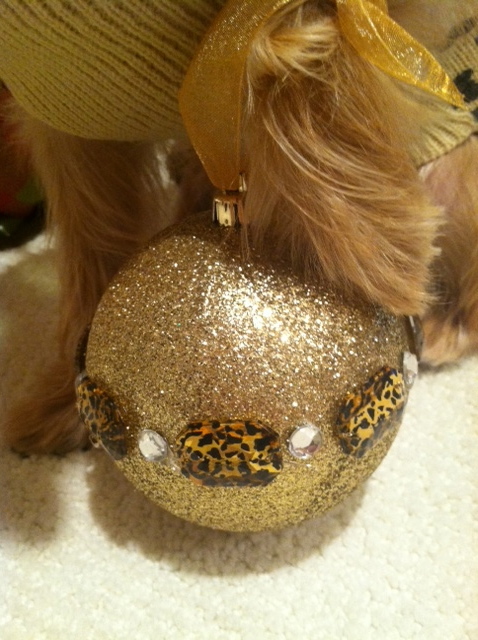 I adore your ornaments! 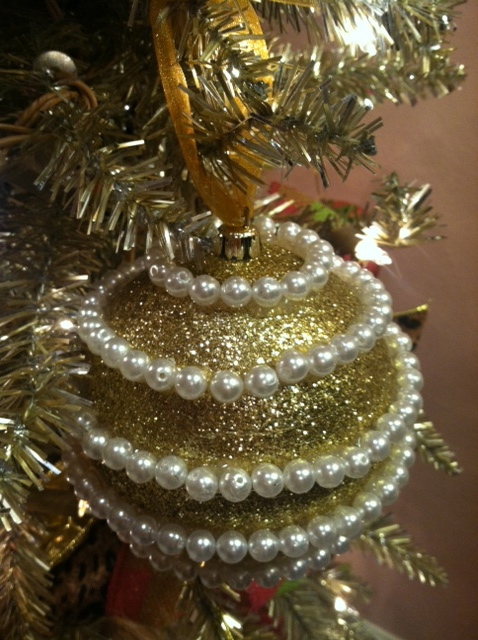 Today I shall be crafting my very own CHANEL ornaments that I dreamed of a few weeks ago. I will share the idea, pinky promise as it is right up your alley!! Oh my goodness, Jaycee is the cutest thing I have ever seen. I think I am in love. 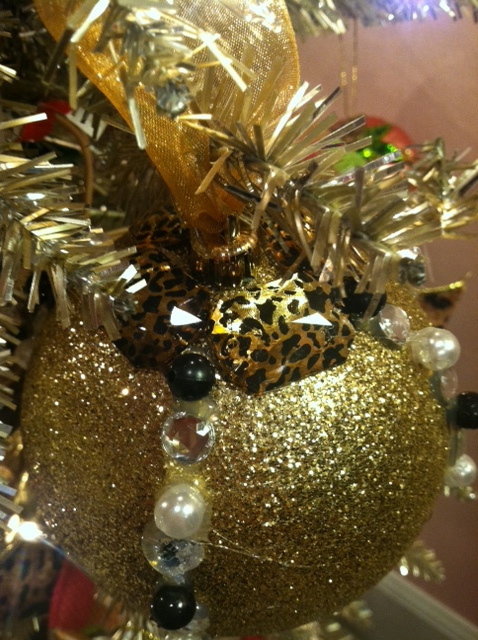 Of course I love the gold glitter, leopard and pearl ornaments! 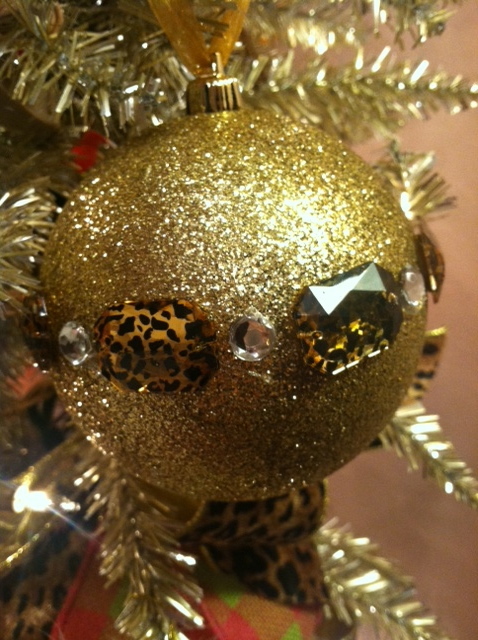 What a fun way to keep all of your ornaments with the theme!